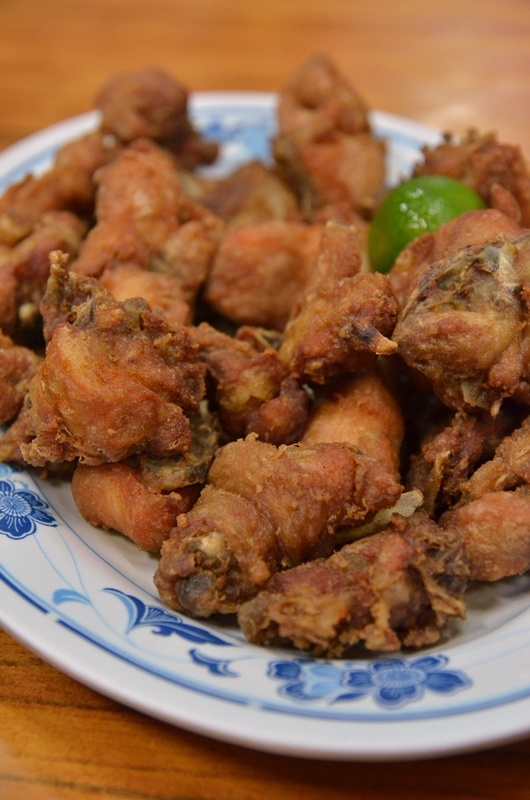 Despite being chopped into smaller bite-sized pieces, the har cheong gai (belacan or shrimp paste chicken) at Kok Sen deserves two thumbs up; you can almost smell the infused paste from tables away. 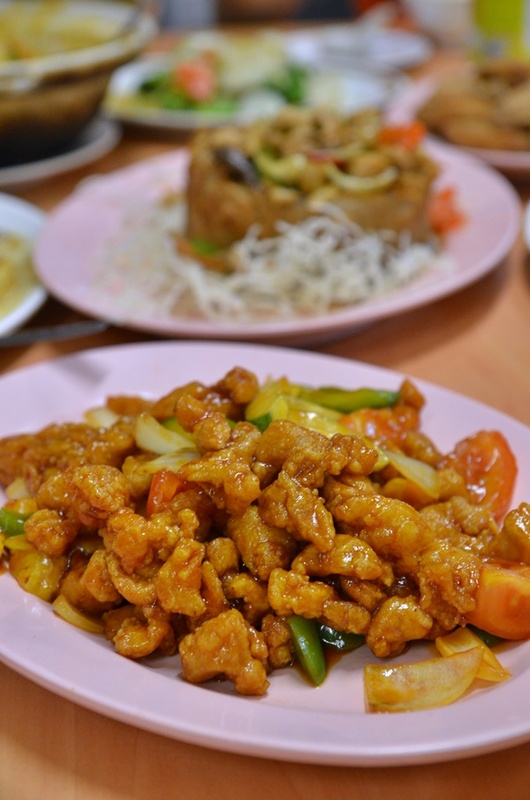 Still in the spirit of scouting for noteworthy cze char restaurants (eateries serving different Chinese-style dishes with rice or noodles) in Singapore, a few sources led me to two well-established places along Keong Saik Road: Kok Sen and Tong Ah. Keong Saik Road, named after a renowned businessman who contributed significantly to the Chinese community in the earlier part of last century, used to be a notorious red light district before it was transformed into a modern commercial hub with popular restaurants, art galleries and retail stores. As the area lies within an urban conservation area, the façades of the two- to three-storey shoplots along Keong Saik Road are still maintained with primarily heritage elements, a sight to behold if you are here prior to sundown and taking a stroll along the relatively short street. Both of the restaurants I mentioned earlier had strong followings of their own; Tong Ah has been around for more than 70 years (!) but has since moved from its original iconic space at the junction of Teck Lim Road and Keong Saik Road to a smaller, one shoplot space diagonally opposite of Kok Sen which occupies two lots to cater to the frenzied crowd over lunch and dinner. 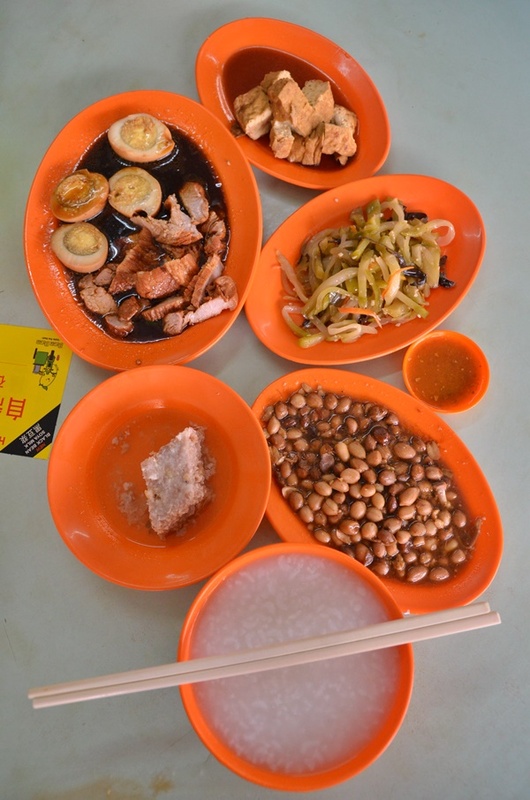 While Tong Ah is renowned more for its kaya and butter toast with coffee served (optionally) with a dollop of butter than their cze char dishes, Kok Sen focuses solely on the strengths of its cze char items. I am not sure though if Tong Ah was there first or Kok Sen. This article was first published HERE on The Malay Mail Online. Most of us Malaysians who have grown up savouring delectable hawker eats under the open sky — sometimes shaded by leafy trees, at times within the compound of someone’s home, or even at some random back alley — would raise an eyebrow when talking about “hawker food” in Singapore. For one, the atmosphere is totally different; the stalls have partitions and are numbered systematically in a food court. They of course come across as relatively sterile. Not that these are bad necessarily bad; in fact a clean and comfortable environment should be applauded. But it might be the strange feeling of déjà vu one gets from eating at the various food courts… they somehow feel the same, lacking the authentic oomph of having a bowl of noodles on the street (hence the term “street food” perhaps?) and at times they resemble one another; especially the newer stalls in refurbished food courts. 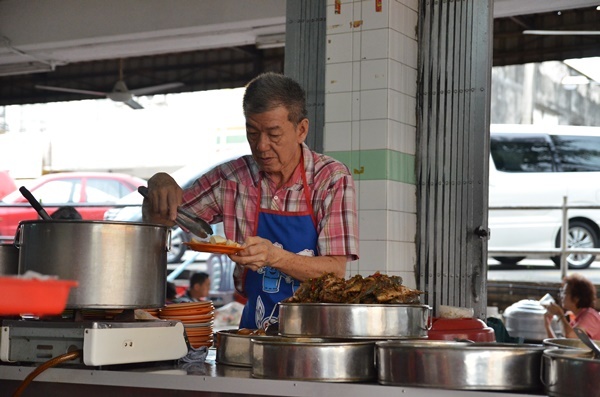 Secondly, and this is also a problem plaguing the Malaysian hawker food scene, the stalls manned by the original owners are gradually losing steam. The younger generation (let’s call them the i-generation) is shying away from continuing the legacy, understandable as sweating it out behind a pot or a wok for hours may not even earn you as much as a day sitting in a fully air-conditioned office typing away in front of a PC. Plus, there’s a certain lack of “glamour” being associated with frying char kuey teow, wrapping wanton dumplings or brewing a cup of kopi O, I presume. This article was originally published in the Malay Mail. 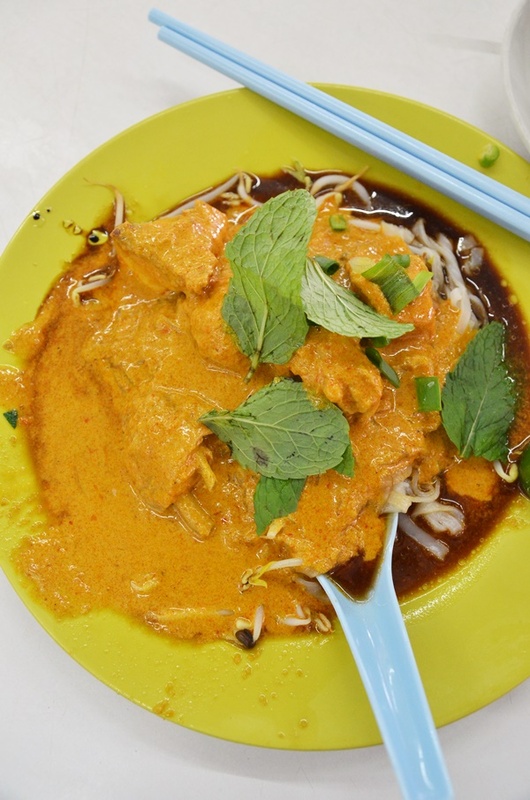 By now, if you are a self-proclaimed foodie in Malaysia, you must have at least heard or eaten at one of Ipoh’s most hyped hawker stalls — a stall aptly named Big Tree Foot or Dai Shu Geok located in the rambunctious neighbourhood of Pasir Pinji. The stall was rightly named due to the over-arching structure above the zinc roof shaded eating area; a few large trees providing shelter and some desperately-needed breeze in the typically warm afternoon. 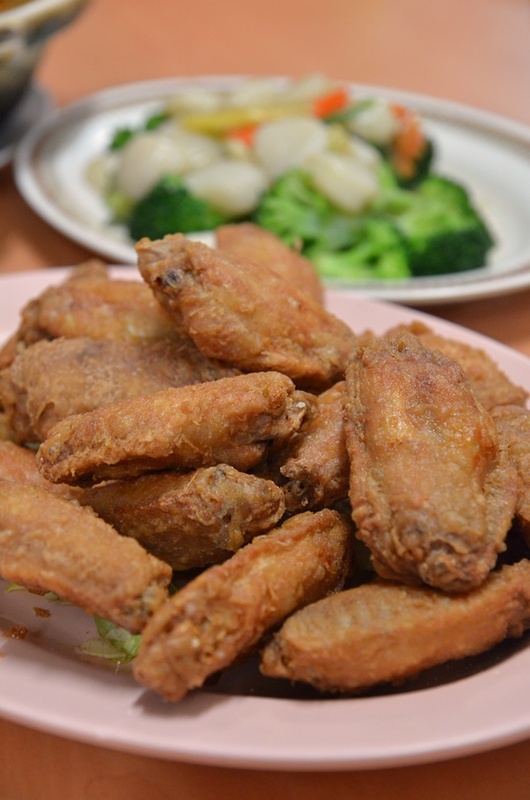 Most of the items sold at Big Tree Foot are deep fried ingredients stuffed with homemade fish paste (otherwise known as yong tau foo more commonly, but we Ipoh folks call them yong liew), served as they are — piping fresh batches steaming hot from the wok right in front of you. 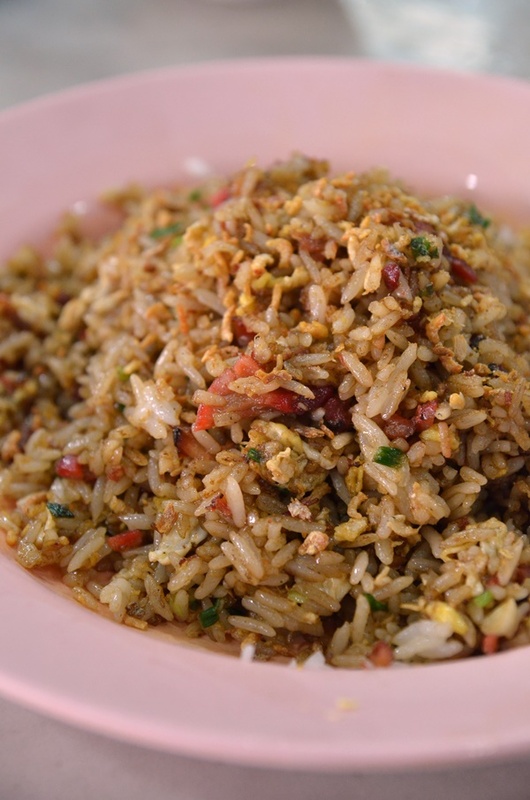 The variety is astounding, and if this is your first time paying a visit, you will tend to get lost in the mix and end up piling dozens of greasy, delicious and extremely addictive pieces of yong liew in your bowl. But should you come to a breaking point where the only thing standing between you and a piece of everything in your restrictive diet plan, then no fear. 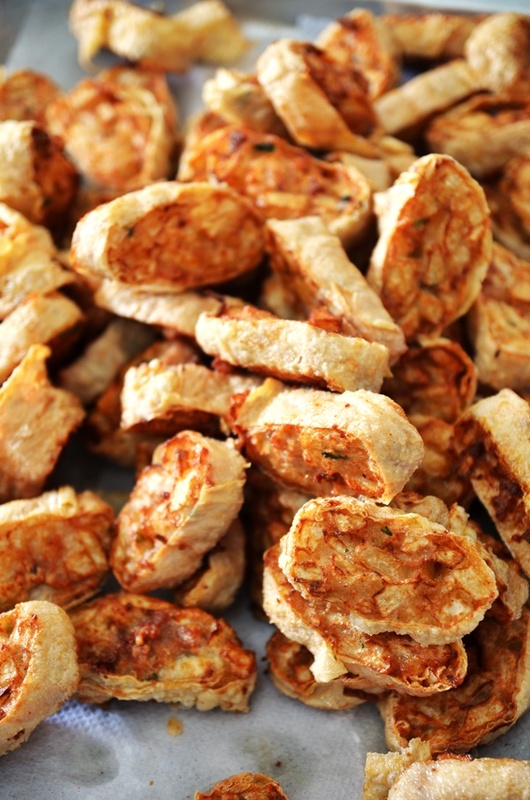 Choose the piece that represents Ipoh most — sar kok liew otherwise known as jicama or yambean fritters. This article was originally published in the Malay Mail Online. Click HERE to read the article. Read the original article published in The Malay Mail Online HERE. 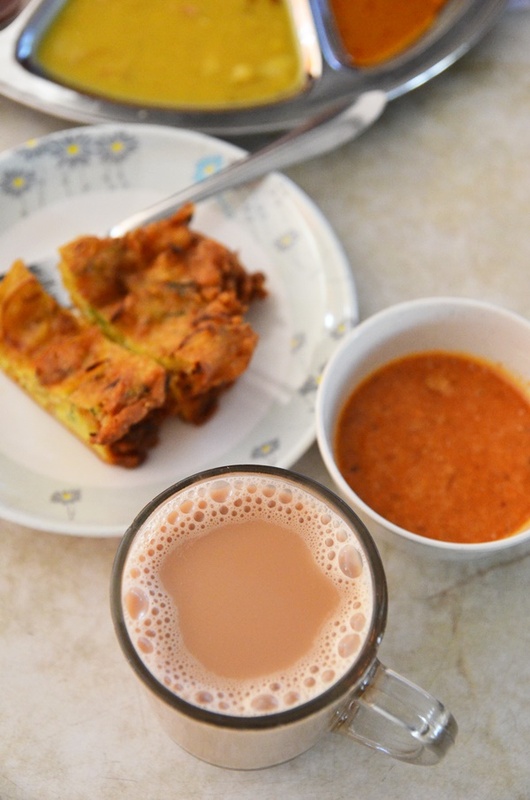 There are but a few eateries left in Ipoh that I personally feel are still able to evoke a strong sense of nostalgia upon setting foot into their premises and tasting the same old flavours from yesteryear. 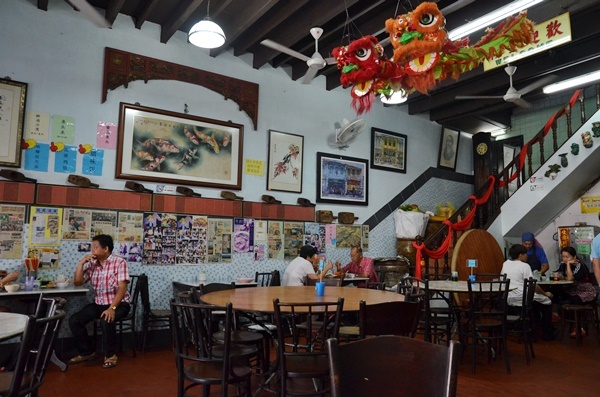 I highlighted a sterling example last week on Wong Koh Kee restaurant situated along Concubine Lane in Old Town with more than eight decades of legacy. That was a really classic example of “lau zhi hau” (literally translated to old trademark brand) — signature dishes unchanged since decades back, maintaining the no-menu policy, ageing staff staying with the establishment through thick and thin and a no-frills, subdued set up featuring round marble top tables, rickety wooden chairs, steel stools and mosaic-tiled flooring.